Email Processing System EPS Scam: Is It Legit? A visitor on my website sent me a link to Email Processing Systems and asked me whether or not I knew if it was a scam. Upon clicking on the link I immediately recognized it and knew that if this system was being passed around, people were at risk to being scammed. So, what is the Email Processing System, how does the EPS scam work and how do I know it is a scam? Read my full review below to find out! So, what is Email Processing Systems? 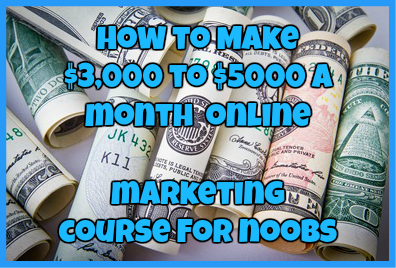 It is an online program that promises you that you can make $25 per email that you process and have that money sent directly to your Paypal account. While I know it seems like easy work just to “process” a few emails…it is NOT what you think it is. Also keep in mind, the introduction video that you are asked to watch that is on the website may seem like it was endorsed by a news outlet, this is NOT the case. Email processing systems is not endorsed by any NEWS outlet nor will it ever be. This program works very similar to many MLM programs out there, of course minus the various levels and the products that you have to sell. All you are really doing is just selling the exact same product over and over again in order to earn $25 in the process. 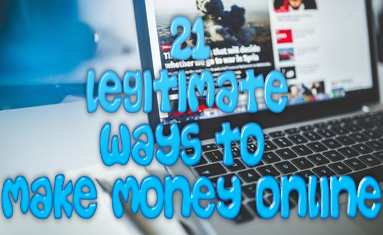 The moment you fork over your $25, you will be given step-by-step instructions that will give you the same email that you were sent and to which you will have to send to people to earn your money. That’s really it. If you are looking for a program that will walk you through this process, then this is certainly not the program for you. There is NO support and NO training offered what so ever other than your instructions that you are given and that you are expected to follow. That’s it! Don’t believe me that this system is a scam? Just check out some complaints from people who had tried the program for themselves and about their experience. Yep….this is a scam. I can say with complete confidence that this program is a 100% scam. While it may seem like easy work and you can get paid directly to your Paypal, there is no way you will not make money with this program unless you have EXTENSIVE marketing experience and know how to sell to others effectively. Also since you do not receive an actual product to promote, NO support and NO training, I don’t see anybody succeeding with this program. In fact I know many people have no succeeded even recently. If I were you I would just save yourself the trouble and stay away from this program. Have you fallen for the Email Processing Scam? If so, I would love to hear about your experience. Drop me a detailed comment below. ← GetPaid4Duty.com Review: Is This Another Online Scam? 5DaysProfit.com Review: How Legit Is It? Viral Team Builder Review: Can You Make Money Online on Autopilot? Lifetime Income Generator Review: Can This Help You Make An Income That Lasts A Lifetime? This is a big scam, plssssssssss do not fall a victim like I fell. No idea why I actually don’t believe that…can you offer proof of payment? Your review about EPS is full of lies just so that YOU can recommend your product as “legit” so that people join YOU. In my opinion you are the scammer. Yeah, while I may recommend my program, doesn’t mean that anybody has to sign up for it. First of all my program is free to access, unless they decide to go premium which of course you don’t need to make any money. I offer an actual legit training course that teaches people to make money doing what they love by various different mean. Also, if this post is full of lies, please feel free to answer the question why so many people are claiming to get scammed by EPS? I would love to hear back from you on that one. Sandra you’re just mad because you were scammed out of $25. I joined two people with email processing business but I never got started once they got the money, they weren’t really bothered. I’m still trying to get started.